Stay in Brac Island's best hotels! Featuring a rooftop pool and hot tub, Lifestyle Hotel Vitar is located in Bol, a 5-minute walk from Kitesurfing School Bol. The air-conditioned hotel boast an on-site restaurant. We arrived to the hotel to celebrate our honeymoon. The hotel staff kindly provided us an upgrade facilities and made our stay at the hotel very pleasant. Located within the historic core of Supetar, Hotel Osam is an adult only hotel which offers a buffet breakfast, an a la carte restaurant and an outdoor swimming pool. The staff was very helpful and friendly. The breakfast perfect, with a great food selection. The rooms extremely clean with design interior. We will visit this property for sure again. I recommend it to everyone. Located in Sutivan, the Adult Friendly Hotel Lemongarden offers a year-round outdoor pool and a private beach area, while guests can enjoy a meal at the restaurant or a drink at the bar. Our arrival to Sutivan was all like smooth sailing - roads were quiet and boat trip was pleasant ! Arriving to the property and meeting most friendly and professional staff was all I hoped the place will be. We were upgraded to a studio bedroom on the top floor with private garden and sun loungers. Everything from day one to the end was just superb experience . Place to enjoy beautiful sea, private beach ,excellent food created by known Croatia chef was divine . Quiet and picturesque Sutivan was exactly what we wanted for this holidays . I would recommend it to everyone who is looking for top luxury small boutique hotel where you can relax surrounded by nature and peacefullnes ! Thank you Lemongarden staff for excellent week. Renovated in 2017 and located 1 km from the centre of Milna, Hotel Milna Osam is set just opposite from the Old Town. We spent three days here at the start of ten day holiday in Croatia. The hotel is an ideal place if you want to unwind and relax. There are plenty of sun beds for everyone, a lovely pool where we were always the only people in it, ideal location for some interesting walks, either into the town or to the numerous coves along the coastline. The food was simply presented but delicious and the staff went out of their way to ensure we had everything we needed. Situated 30 metres from the Adriatic Sea, this villa features modern rooms and apartments with a balcony. Guests can make use of the facilities of the adjacent Velaris Resort and the Amor Hotel. Very peaceful and picturesque location highly recommend the restaurant of the resort which is 3km away but free shuttle there and back is provided. Friendly staff, a great unwind for the 2 nights we were there. 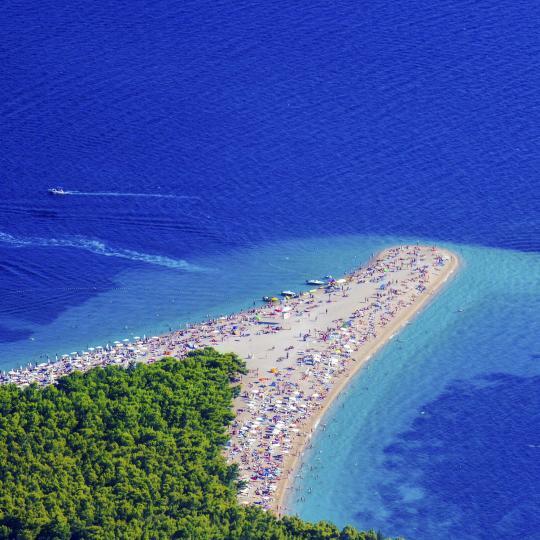 Just a few steps from the Zlatni Rat Beach on Brac Island, this hotel is a 5-minute drive from Bol's historic centre. It offers free Wi-Fi and air-conditioned accommodation. Very friendly staff. Close to the Zlatni Rat beach. Excellent breakfast. Featuring a rooftop pool and hot tub, Lifestyle Hotel Vitar is located in Bol, a 5-minute walk from Kitesurfing School Bol. The air-conditioned hotel boast an on-site restaurant. We arrived to the hotel to celebrate our honeymoon. Located within the historic core of Supetar, Hotel Osam is an adult only hotel which offers a buffet breakfast, an a la carte restaurant and an outdoor swimming pool. The staff was very helpful and friendly. The breakfast perfect, with a great food selection. Located in Sutivan, the Adult Friendly Hotel Lemongarden offers a year-round outdoor pool and a private beach area, while guests can enjoy a meal at the restaurant or a drink at the bar. Our arrival to Sutivan was all like smooth sailing - roads were quiet and boat trip was pleasant ! Renovated in 2017 and located 1 km from the centre of Milna, Hotel Milna Osam is set just opposite from the Old Town. We spent three days here at the start of ten day holiday in Croatia. Situated right at the quay in the centre of Postira on the island of Brac, Hotel Vrilo is within easy walking distance of the beach and features brand-new wellness facilities. The breakfast was very tasty, grilled vegetables extra tasty ! Cleanliness everywhere. The Hotel Pastura can be found right on the beach in Postira on the island of Brač, close to the centre of the village, and features a freshwater outdoor pool. Great hotel, with pool right by the harbour and easy access to the sea. Set in the centre of Bol, Hotel Kaštil is part of a baroque fortress formerly owned by a local aristocratic family. This friendly and quiet hotel is just a few steps away from the sea. Staff are very friendly and helpful. Only 50 metres from a pebble beach offering a restaurant, Bluesun Hotel Borak is set in lush Mediterranean greenery and features an outdoor swimming pool with sun deck. Everything!!! lovely view from room with balcony, room was very comfy and clean. Great staff! Enjoying a convenient location only 10 minutes from the centre of Supetar, Hotel Amor is surrounded by peaceful, well-preserved nature and old pine trees on the picturesque Brač Island. The dinner and the breakfast were delicious. The bathroom has plenty space. Brač’s most iconic beach stretches more than 600metres out into the Hvar Channel like a stunning golden triangle. Vidova Gora Hill is the highest point of the Adriatic islands. 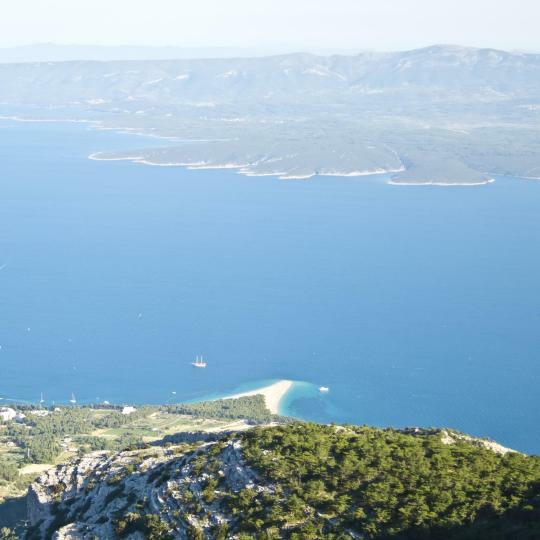 The breath-taking view of Brač, Zlatni Rat Beach and the sea is definitely worth the climb! 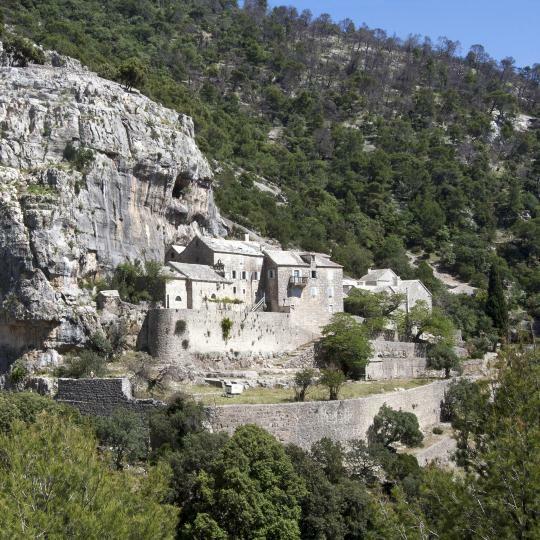 This unique 16th century monastery is set at the entrance of a stone cave in the protected Blaca Desertarea. It houses a museum and a famous astronomic observatory. Pučišća is a charming waterfront town known for its unique architecture and long tradition of stone masonry. Marble from here was even used to decorate the White House! Whether you prefer a pebbly, sandy or rocky beach, Brač has it covered with a wide range of unspoilt beaches waiting to be discovered. 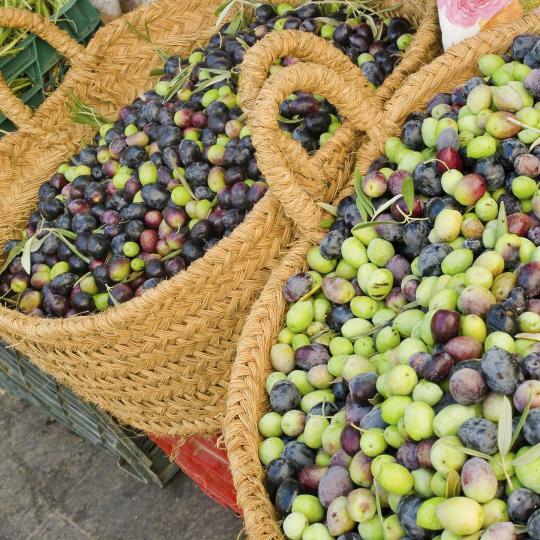 Enjoy a taste of the ‘Nectar of the Mediterranean’ and find out how it is made at Brač’s very own olive oil Museum. 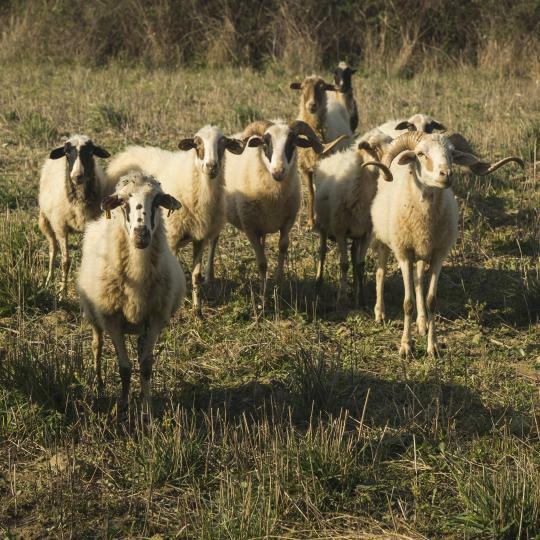 Experience traditional island life and taste local specialities in this rural shepherd's village. 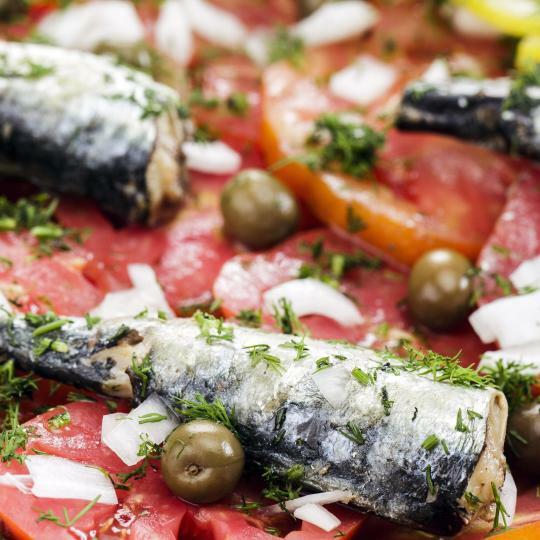 Lamb, fresh seafood, prosciutto and tasty cheeses are only some of the delicacies that Brač is known for. Bol and Murvica are home to an array of little wineries where you can get a taste of the local red and white. 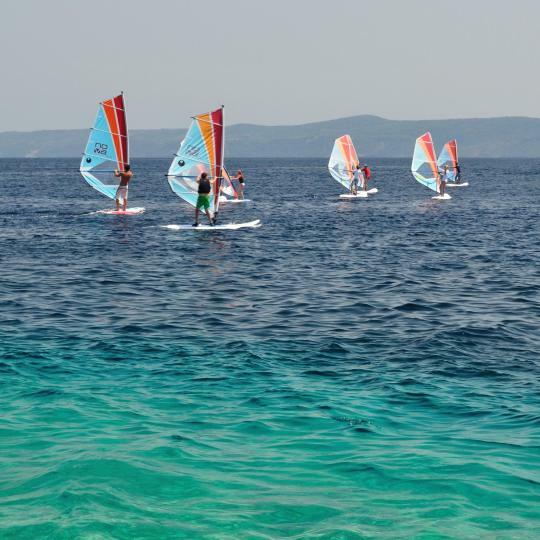 The windy channel between Brač and Hvar provides perfect conditions for practising both windsurfing and kitesurfing. In this apartment you can feel like in your family home. We stayed in apartments with amazing view over Supetar, Adriatic, Split. The host informs about all the interesting places in the area. Do you want to do shopping? Will take you on a motorcycle! He is very helpful and friendly. From Valentino you will buy wonderful Croatian home made products! Near the shopping center and a new gas station. The host offers a comfortable place to park over the house. Brac Island is beautiful. Great house equipped with more than one can expect and incredibly pleasant hosts. It's been amazing time spent there with family, enjoying all the amenities, pool (especially loved by kids), and also local food prepared by our fantastic hosts Bojan and Metka. AlLot of things to do around on Brač island, while always coming back made us smile. Long evenings spent outside in marvelous garden with historic touch and stunning views around. Recommend for all 100%! Daniel & his wife were very friendly & helpful , always there to make our stay as comfortable & enjoyable as possible. Stuvan was a lovely little village with several nice cafes & restaurants. Local beach was very nice with crystal water. Only stayed 3 nights but wished we stayed longer as Brač island was beautiful & lots to do. Nice, generous, airy room with a lovely view of the bay from the balcony. Comfy beds, nice and clean, a lovely big bathroom, and a really good shower. Not a big pool, but lovely and clean with comfy loungers available. Brac Island was beautiful and the village of Postira is gorgeous, with good restaurants nearby for variety. Brilliant location. Awesome views. Really good base to explore Brac Island. The owner/housekeeper was extremely helpful with everything. Would definitely return in future. New resort with many options (comparing other facilities on Brac Island) for family holiday stay. Nice and helpfull staff. Neat Apartment. Loft style upper room. 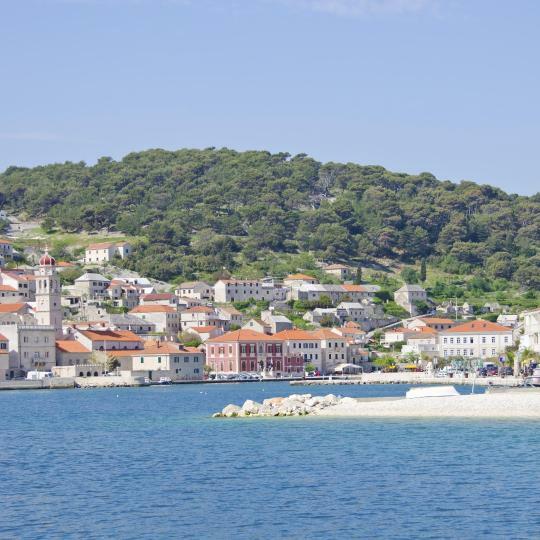 Great base to explore Brač Island. The dinner and the breakfast were delicious. The bathroom has plenty space. And the balcony has nice view to the see and mountains and privacy too. The stuff were very kind and helpful. The staff are very kind and helpfull. The location as well the accomodation are superb. Love it here. If i would stay in Supetar again I would def book here again. Thx for everything! Staff are very friendly and helpful. Hotel is situation in the centre of town and about 30 minutes walk to zlatni Rat. A mini train and taxis are available if you prefer not to walk. Whatever we need host were so kind and bring it as soon as possible! Facilities in apartment are great. We had everything what we needed. The location was good, close to the sea and a pleasant 10 minute walk into town. The reception staff were really friendly and helpful. Food was excelent.Staff very helpfull and polite.